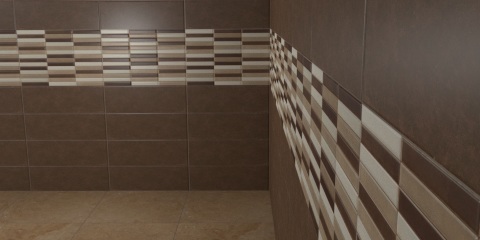 A new texture of brown tiles for walls. 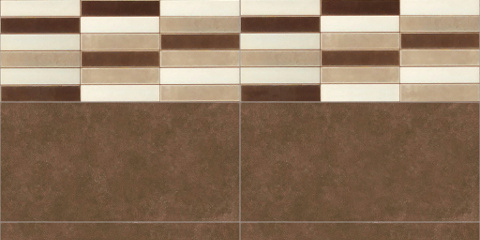 The texture is seamless and tileable so you can repeat it and it will work fine. I have added a bump texture too. You can view a sample rendered with Blender and Cycles below. I have created this texture with the collaboration of Emmanuel Puybaret from eTeks (Sweethome3d.com). If you are a Sweet Home 3d user you can use it to add a new texture to your library. This texture can be used with any 3D program or image editor too. Can I use bump for Sweet home 3D? Hi Anh, I think not, sorry. With Sweet Home 3D you can use the texture as diffuse map. The image of this post has been rendered with blender, and with blender you can use bump maps.